Let your young guests feel comfortable as they dine seated in the Winco CHB-703 Mahogany Wood Booster Seat. This seat has two sturdy straps, one to buckle the child in and the other to secure it onto the restaurant chair. In addition, its tall back and high walls provide added stability and safety to prevent accidents. 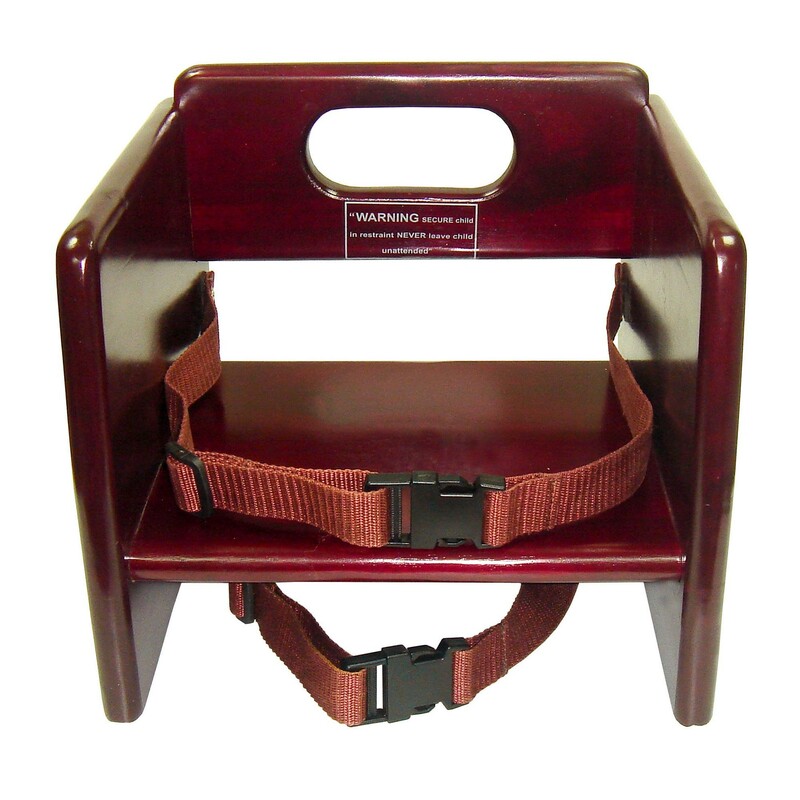 Thanks to its durable rubber wood construction, this booster seat is strong enough for heavy use while also being lightweight for easy transport. It can be stacked to save space and its sleek mahogany finish complements any restaurant d�cor.